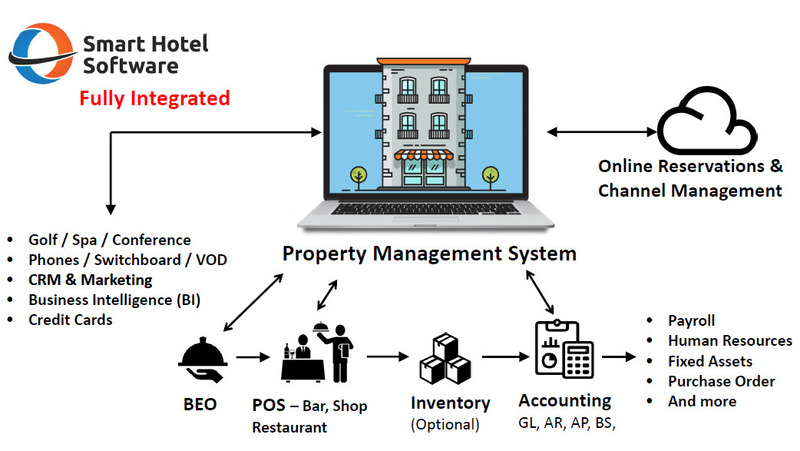 A fully integrated software package for any hospitality business. Smart Hotel Software combines the best of breed functionality with seamless, all-in-one integration. Hotels, motels, resorts, conventions, retreats, boutique hotels, and more. Whether you have 50 rooms or 500, we have a solution customized for your business needs. Our implementation pros will work with you to ensure a perfect fit between your business and our solutions. We will show you how to use our tools to save time and earn more money with each and every guest transaction. Changing software does not have to be painful. All of our work is guaranteed. We are committed to providing you complete satisfaction or we will refund your money. All the pieces are connected. Machine to Machine. No messy export/import or re-keying.